With a text, “An Automotive Life,” by Blackett Ditchburn. 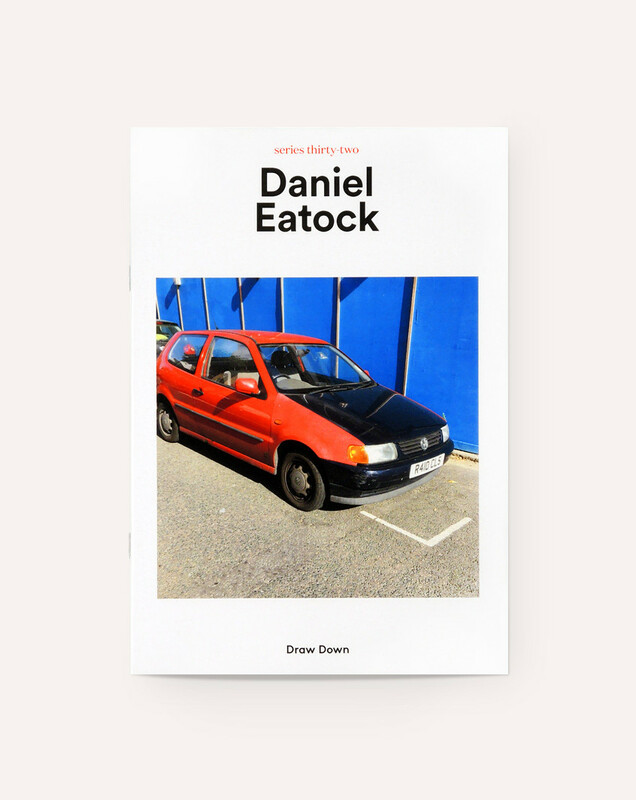 British artist and designer Daniel Eatock, known for astute observations and obsessive collecting, creates works which celebrate the quotidian and mundane, whimsically celebrate the everyday, and question accepted convention. 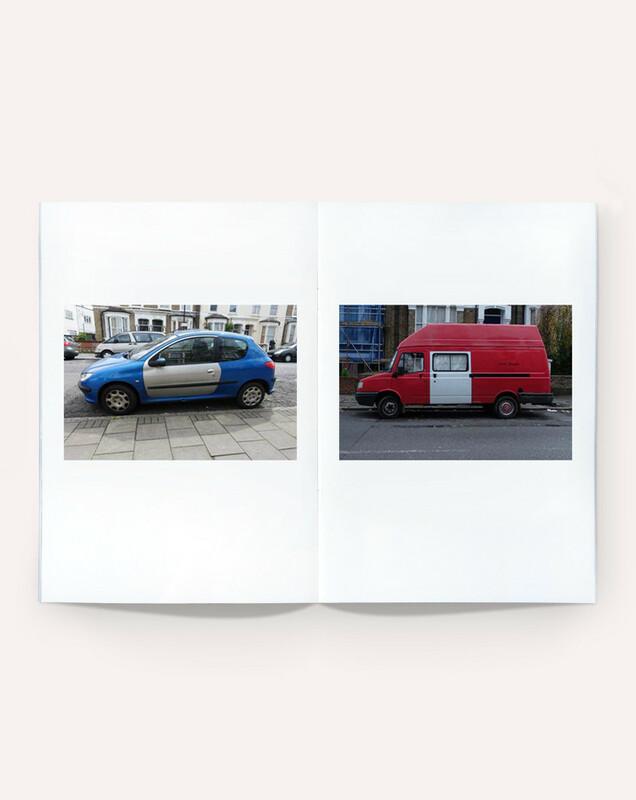 This eponymous publication brings together a portion of the images he's taken in an on-going project which documents repaired vehicles. Focusing on auto repairs where an identical part from another vehicle of the same model, but of a different color, is substituted, Eatock's photographs focus on a practice in plain sight, on economic and transparent fixes. Recognizing a connection with art conservation—where repairs are meant to be visible rather than camouflaged—as well as with the Japanese art form of kintsugi, where pottery repairs are illuminated rather than hidden, Eatock elevates a thrifty practice to a place where it can be considered and appreciated as an aesthetic choice. Are these repaired vehicles richer, more valuable and better as a result of accident and repair?